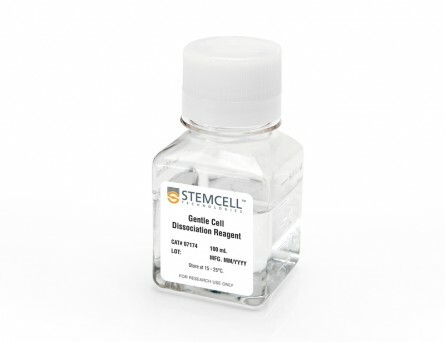 STEMdiff™ Cerebral Organoid Kit (Catalog #08570) is a defined, serum-free cell culture medium that enables the robust generation of human pluripotent stem cell (hPSC)-derived cerebral organoids in a simple four-stage protocol. 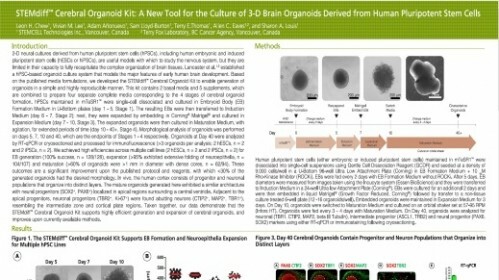 Cerebral organoids are three-dimensional in vitro models with a cellular composition and structural organization that is representative of the developing human brain. 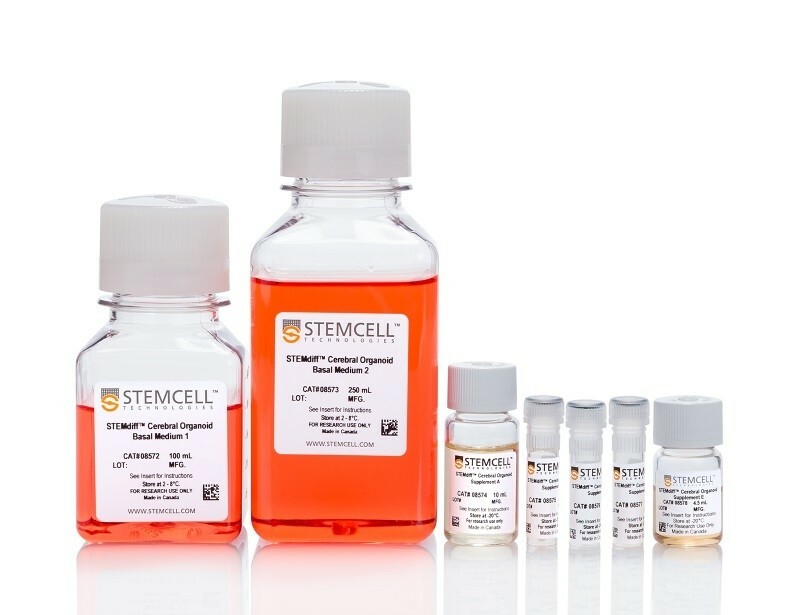 STEMdiff™ Cerebral Organoid Kit has been optimized to increase efficiency and reproducibility of organoid formation based on the formulation published by Lancaster et al. (Lancaster MA et al. Nature USA, 2013 and Lancaster MA et al. 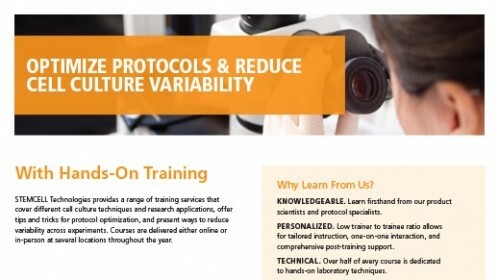 Science USA, 2014). 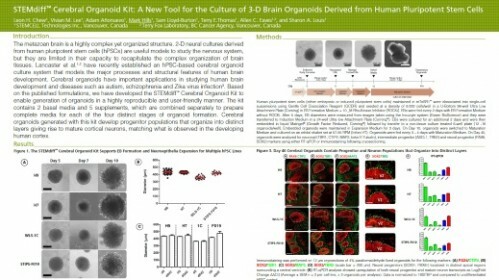 Cerebral organoid formation is initiated through an intermediate embryoid body (EB) formation step followed by expansion of neuroepithelia. 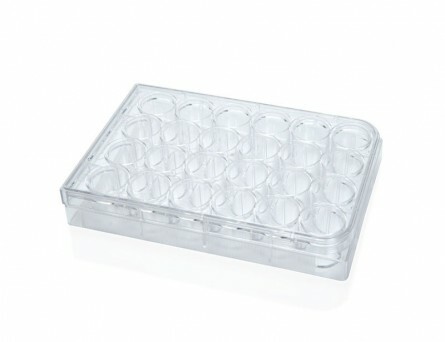 After a period of maturation, organoids generated using this kit feature cortical-like regions such as the ventricular zone (PAX6+/SOX2+/Ki-67+), outer subventricular zone (Ki-67+/p-Vimentin+), intermediate zone (TBR2+), and cortical plate (CTIP2+/MAP2+/TBR1+), which layer in similar orientations as observed in vivo. 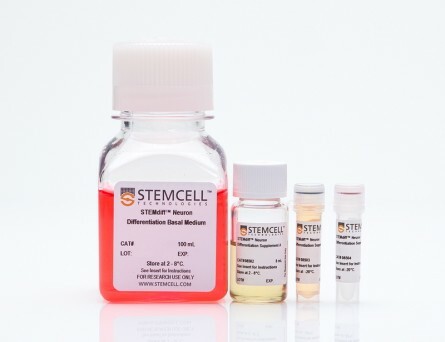 For extended periods of organoid culture (> 40 days), the components required for organoid maturation can be purchased as the STEMdiff™ Cerebral Organoid Maturation Kit (Catalog #08571). 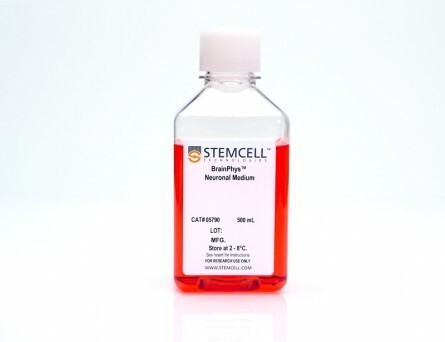 (A) A representative phase-contrast image of a whole cerebral organoid at day 40 generated using the STEMdiff™ Cerebral Organoid Kit. 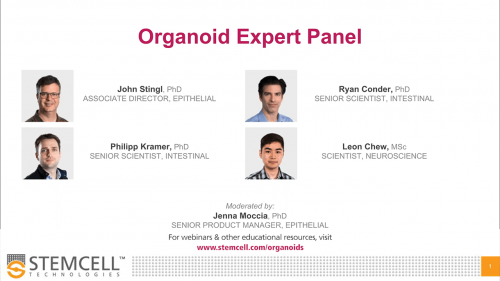 Cerebral organoids at this stage are made up of phase-dark structures that may be surrounded by regions of thinner, more translucent structures that display layering (arrowheads). 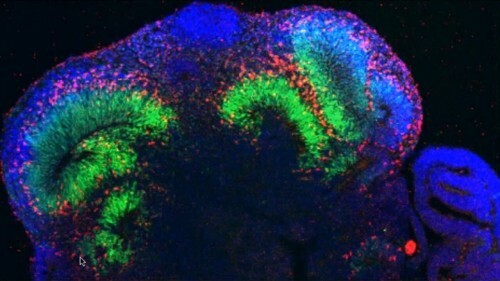 (B) Immunohistological analysis on cryosections of cerebral organoids reveals cortical regions within the organoid labelled by the apical progenitor marker PAX6 (red) and neuronal marker β-tubulin III (green). 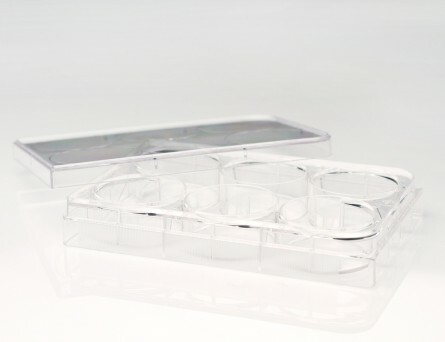 (C-F) Inset of boxed region from (B). (C) PAX6+ apical progenitors (red, enclosed by dotted line) are localized to a ventricular zone-like region. β-tubulin III+ neurons (green) are adjacent to the ventricular zone. (D) CTIP2, a marker of the developing cortical plate, co-localizes with β-tubulin III+ neurons in a cortical plate-like region. 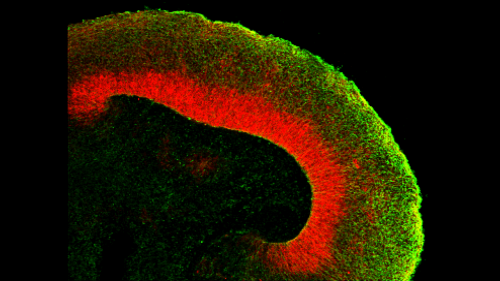 Organization of the layers recapitulates early corticogenesis observed during human brain development. (E) Proliferating progenitor cells labeled by Ki-67 (green) localize along the ventricle, nuclei are counterstained with DAPI (blue). 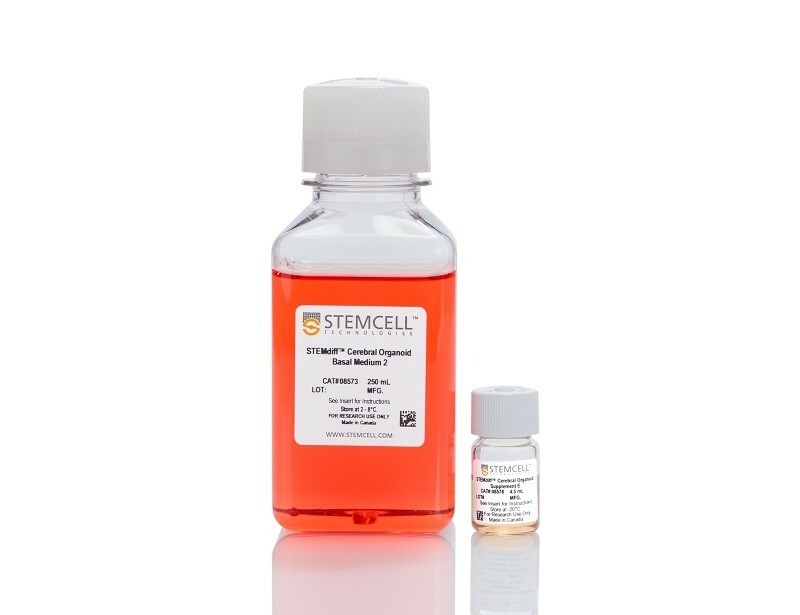 (F) An additional population of Ki-67+ cells is found in an outer subventricular zone-like region (arrowheads). 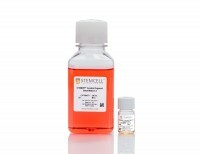 Scale Bar = (A) 1 mm, (B) 500 µm and (C-F) 200 µm. 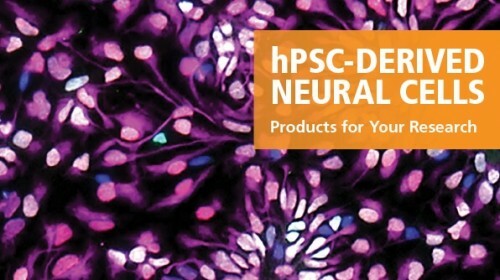 Principal component analysis of hPSC and cerebral organoid transcriptomes. 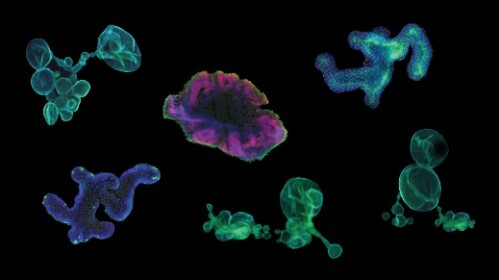 Cerebral organoids generated using the STEMdiff™ Cerebral Organoid Kit (filled blue circles) cluster together, and cluster with previously published (C Luo et al. 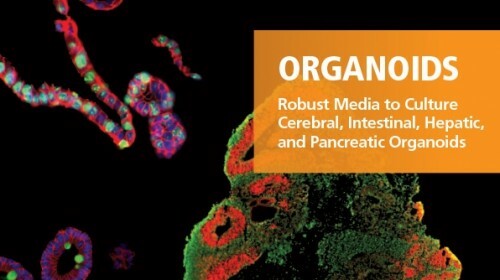 Cell Rep, 2016) cerebral organoids (open blue circles). 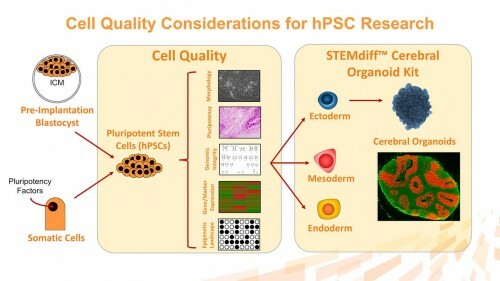 The first principal component accounts for the majority of variance seen (PC1; 80%) and distinguishes the cerebral organoid samples from the hPSCs (green circles). 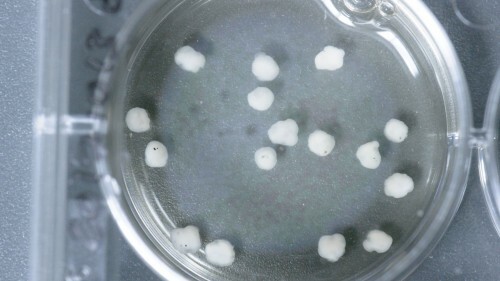 The second principal component accounts for only 9% of the variation, and highlights the modest expression differences between cultured organoids and primary embryonic fetal brain samples (19 post-conceptional weeks, brown circles). 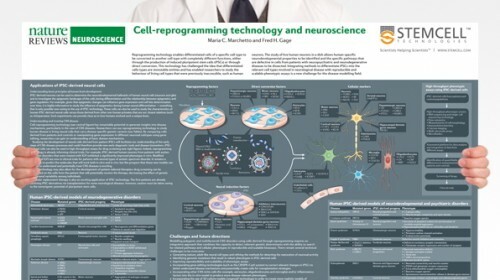 Heatmap of expression levels for genes associated with synaptic transmission function and neurogenesis in Day 40 organoids. 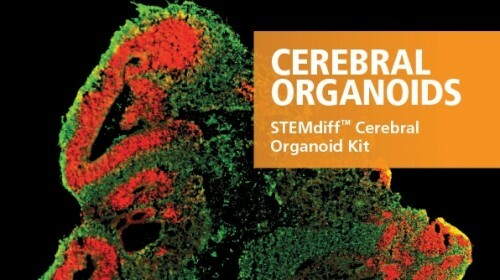 These data show that gene expression of cerebral organoids generated from the STEMdiff™ Cerebral Organoid Kit are similar to published results (C Luo et al. Cell Rep, 2016). 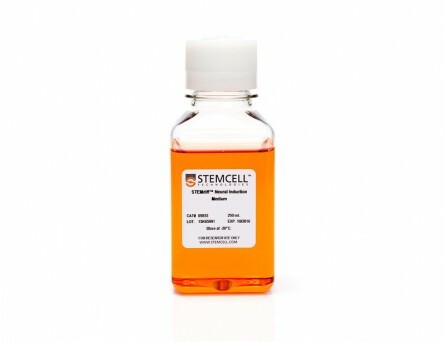 This product was developed under a license to intellectual property owned by the Institute of Molecular Biotechnology (IMBA) of the Austrian Academy of Sciences. 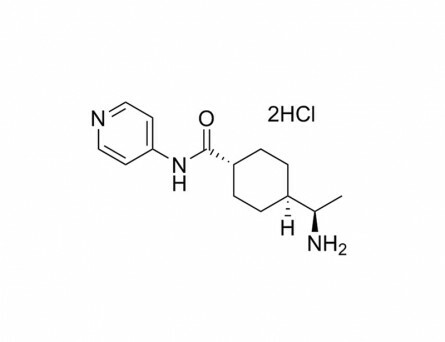 This product is sold for research use only.